You may have seen The Floyd Leg somewhere online, maybe from the Kickstarter campaign that pulled in over $250,000, or perhaps Instagram or Pinterest? The thing I like about The Floyd Leg is not that it’s the greatest idea ever, but that it’s an idea that became a product that became an ecosystem of inspirational way to use the product. Chances are good that some guy in his workshop said “Dang! 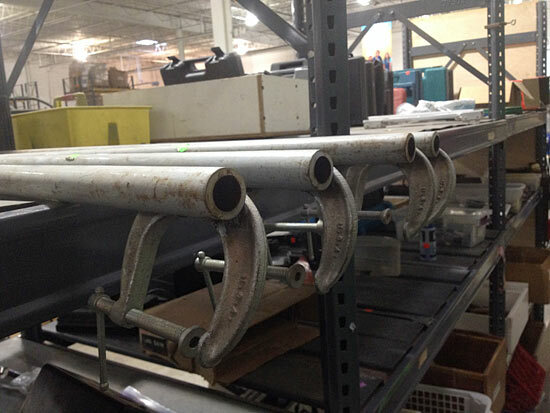 I need some tables legs… well, here’s a few c-clamps, and metal pipe, and I’ve got a welder…” and then, bam! 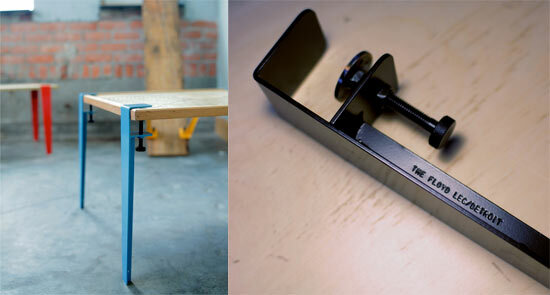 C-Clamp Legs! The “C-Clamp Legs” didn’t become a product, or have a campaign where you could pre-order them, or a web site with lovely photos and videos, or any social media accounts. The C-Clamp Legs just solved a problem someone had. Sometimes making is about solving your own problems, and sometimes making can be about solving problems that others have as well. If you can make money doing the latter, good for you! Posted on Monday, December 29th, 2014 at 9:00 am. Subscribe to the comments feed. Both comments and pings are currently closed. Post on your own blog.